Olympic viewers tune in for the action and drama of the games. Will they stay for the commercials? The spots range from lighthearted, clever promos to spots that carry powerful messages. They tell remarkable stories of overcoming adversity, evoke a sense of national pride and offer a peek into athletes' lives. While some of these ads have already started airing, others won't debut until the Olympics officially start on Friday. The games run until August 21, and because Rio will have more hours of broadcast coverage than any other Summer Games, there will be more ads than ever. Here are some of the ads you don't want to miss. Procter & Gamble (PG), which is a worldwide Olympic sponsor, has run ads that could be considered "Not Safe For Work" -- unless there's a box of tissues handy. Hershey's (HSY) also taps into viewer emotions. The first-time Olympic sponsor aired "Hello from Home" commercials, featuring letters written by the friends and family of gymnast Simone Biles and gold medalist Jordan Burroughs. 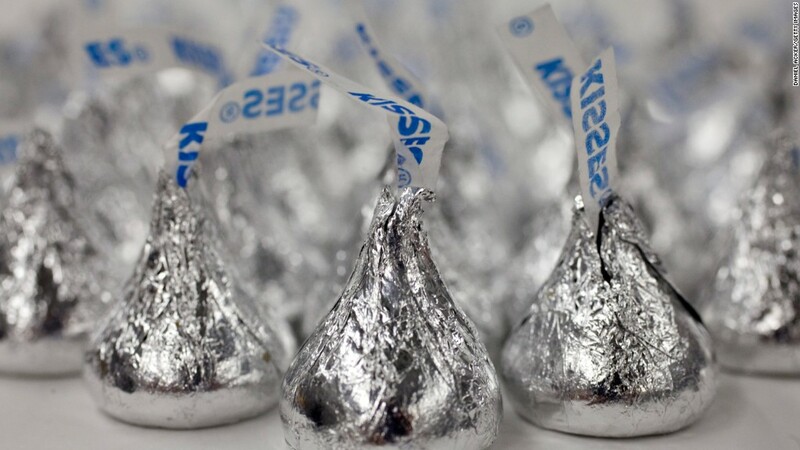 Mallory Weggemann, a paralympic swimmer in an ad for Hershey's, said she really was genuinely surprised when she opened the box of letters and photos. "Every little bit of support helps," she told CNNMoney. "It's like having your community wrap their arms around you and push you to be your best." Budweiser (BUD) went with national pride for its ad, which highlights its new "America" beer can. Under Armour (UA) and Gatorade sponsor Olympians, but they aren't official U.S. Olympic partners so they can't use official branding in their commercials. Still, their message is clear -- you don't become an Olympian without putting in the work. McDonald's (MCD) is using its ad to showcase its Olympics Kids Program, which sends children to the games. Minute Maid, which is owned by Olympic sponsor Coca-Cola (KO), endorses Missy Franklin. It features the 4-time Olympic gold medalist in a touching tribute to her parents. Samsung (SSNLF) struck a unifying tone with one of its ads, which features the national anthems of 14 different countries. United Airlines (UAL) went with a fun commercial that highlights the skills of Olympic athletes and its partnership with Team USA. Devra Prywes, VP of Insight and Marketing at ad-tracker Unruly, said tapping into emotions is the "secret sauce to getting people to relate to a brand and get them to buy a product." Prywes said Under Armour's commercial with Michael Phelps is an example of just that, registering inspiration, amazement, pride and happiness. "That ad is already the third most shared Olympic ad of all time," she said.